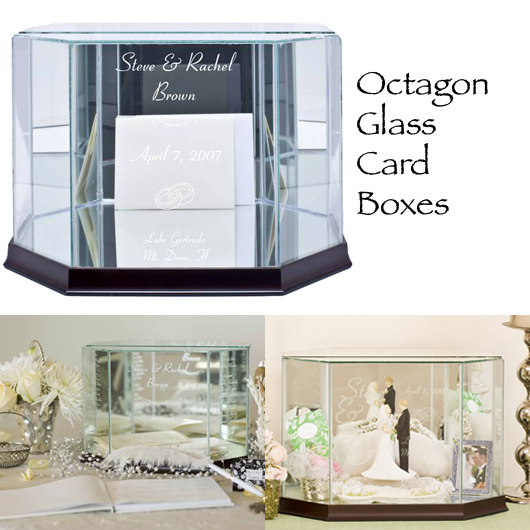 Graduation Card Holder - Octagon - Medium - Our Graduation Glass Card Box makes a wonderful keepsake for the new graduate! After graduation, they can proudly display all of their keepsakes in it that they've been collecting throughout their high school or college career! Most graduates receive cards with money in them for graduation presents, so this makes the perfect graduation gift for them! 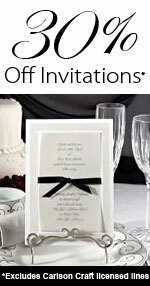 Our Graduation Glass Card Boxes are very unique and elegant, and will be treasured for years to come! 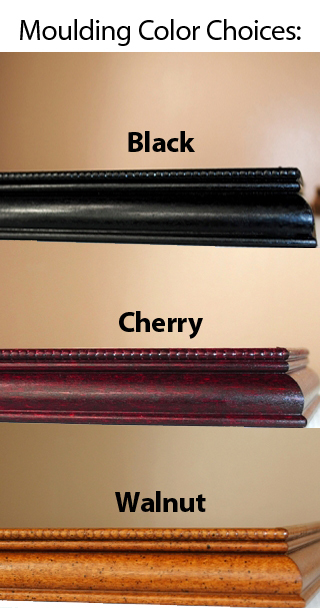 For our Octagon shapes, there are mirrors on the back three panels and on the bottom. Choose if you want our lovely graduation cap clipart engraved and select from 4 fonts and 6 moulding choices below!